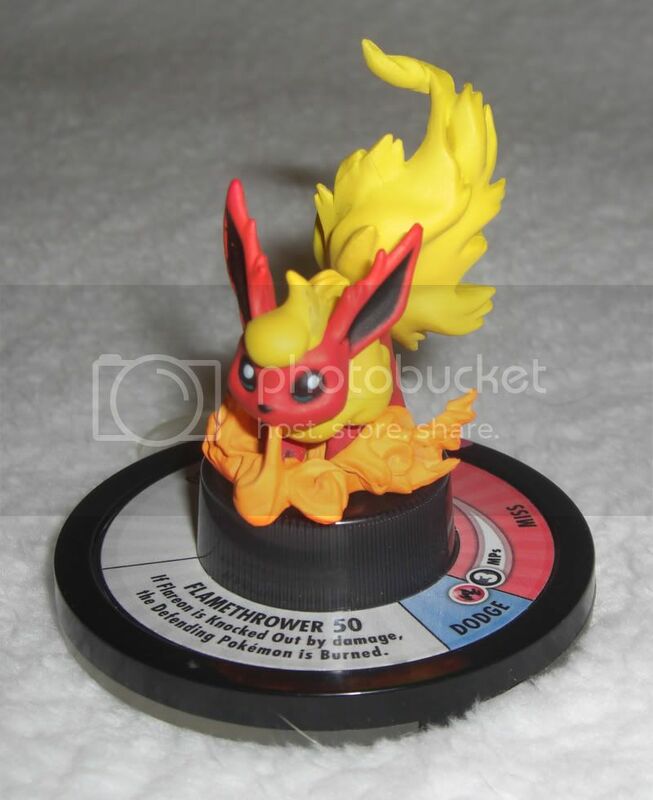 My purpose today is to ask you guys if anyone has and would be willing to sell a specific Pikachu charm. 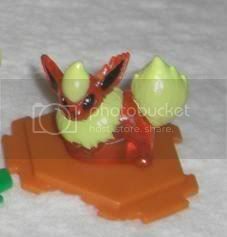 I bought it a few years ago and it was originally a cell phone charm. I took it apart and put the pikachu on a chain and wore it for the past year and a half straight. About two months ago I lost it. :( The clasp was loose and it fell off my neck. I searched and searched but could not find it. It was very important to me, so if anyone has it and is willing to sell it please let me know! Pics below. 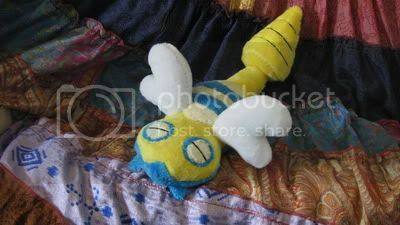 Just wanted to post a reminder that my custom dunsparce plush auction ends tonight (April 28th 11:59pm EST). It still has no bids so come by and check it out. Updated sales, hot plate auction ends tomorrow! Hey guys I updated my sales post with some Pokemon Tees from teefury that I bought and ended up not liking them XD"
I'm also still taking offers on my fire pokemon hot plate here until tomorrow morning over here! Let me know if anyone is willing to help me find my derpie! click the link above to get to the auctions! 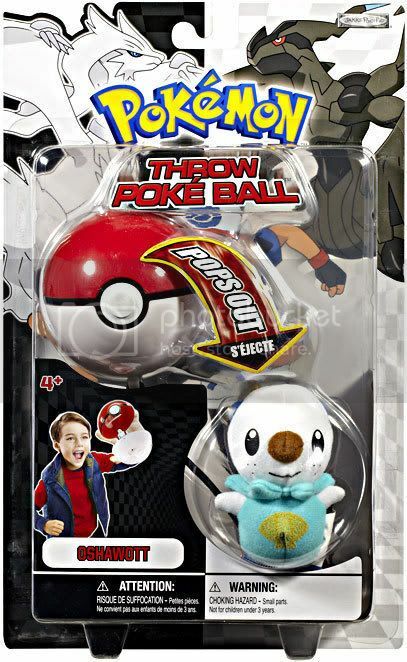 I know there are some others floating around the net, but I thought I would check here first to see if anyone has a Charmander Canvas plush for sale. I'm willing to pay $20-25 shipped. I am still an avid Grass Pokemon fan and before I had to stop collecting I had a little task I set myself of collecting 1 card for every grass Pokemon and have it nicely displayed in my binder - which I did :) However, since then Black & White has been released so now there are new Pokemon I don't have! I'm looking really to buy more than 1 card off a member at a time to save on postage costs, as you know the price is going up here in the UK (not sure about anywhere else) so if you could provide me with the cards you have, price for each and a total with postage I would greatly appreciate it. I have updated my Sales with Keldeo sleeves, and about 8 cards from Keldeo deck and the National starter set. Everything up for auction today came to me brand new and in original packaging! Please bid in increments of $1.00 and when placing a bid, respond to the previous bidder. No backing out or deleting your bid, doing so WILL result in negative feedback! The auction starts today, 4/28/2012 and will end 5/10/2012 at 2pm EST. It is in military time, so the auction will end at 14:00. Enough of the rules, let's get to the auctions!!! Me and zugagirl are running this auction. It has about 15 hours before it ends, and I just wanted to put out a friendly reminder for those of you who are interested in any of the plush listed. Also, I know how it states in the rules that you can only run one GA at a time, but does that mean after you win the GA, or after you ship out all the items to the participants. anyone looking for one right now? a friend of mine is looking at selling his as he is in need of some extra money. i would be handling payment and shipping personally, and i can provide pictures once it's in my possession. as far as i know it is MWT only ever been displayed. i originally purchased it from gin when they were first released so you don't have to worry about bootlegs. and i am still looking for the long nidoking/giovanni pokemon league poster, if anyone has seen one around. i also wouldn't mind any used nidoking backpacks, as far as i know i have 2/3. Figure Sales + Flea Market Pickups! Today I bring to some figure sales. And a little scoop on my Flea Market Pikcups. Also, people who have bought from me in the past and I charged $2 shipping (U.S.) You get free shipping for these sales! Important if you have anything on this list, I live in the Netherlands! Looking for one $20 shipped. It needs to be MIP, it is for a friend. 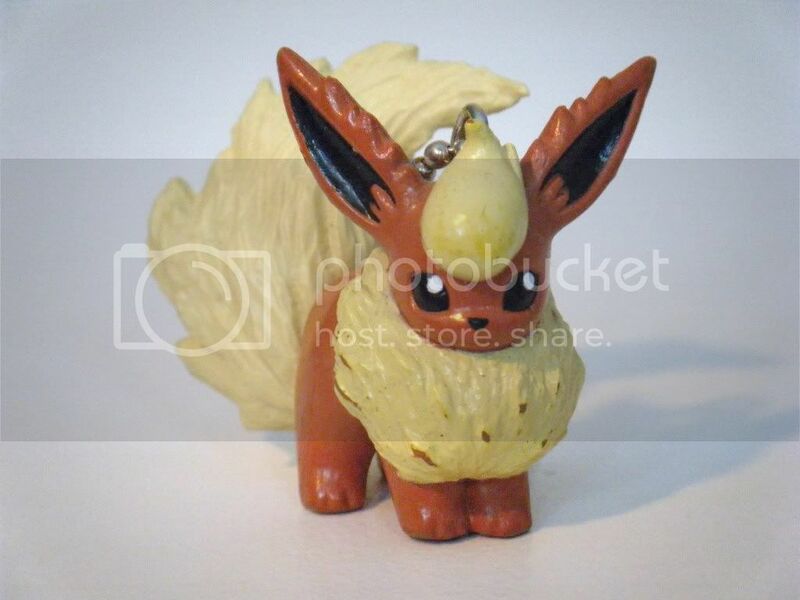 Side note: The Flareon Tomy keychain has to be mint. The one in the picture is mine. It might be my favorite figure from my whole collection. That's why I would like to have one that is completely mint. I finally got 10 positive feedbacks a few weeks ago so I went through my plush and found the ones I want to trade >^.^<. Most of them are a bit old and don't have their hangtags but a few have their tushtags. I can try to get some more pics for anyone who wants them (the camera I am using doesn't like to cooperate with me). 2. 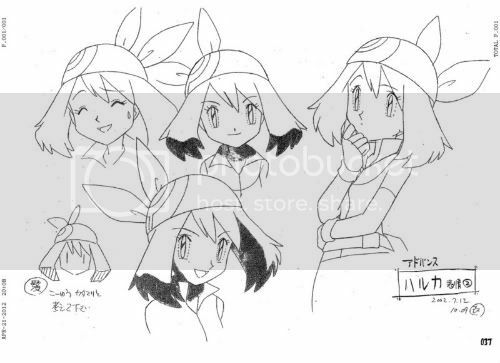 Anyone know of any Falkner merch? 3. I am kinda looking for a German middleman for an item on ebay germany. Is there anyone who could help me? Thanks for your time >^.^<. Anyone got these beauties for sale? Finally I got a gbc today with pokemon pinball and I would like to know if you got those old classics. You think it would be difficult to find it with the box and everything? Has anyone seen or heard from diluted_paradox? I have been trying to get in touch with diluted_paradox for a bit now, since I bought something from her (or him?) three weeks ago, and it still has not got here, and she has not responded since my message last week. If you have any information, that would be great! Hi, guys! 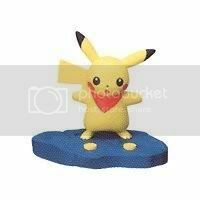 I have this cute little card with Pikachu floating on balloons. I'm wondering where it's from. 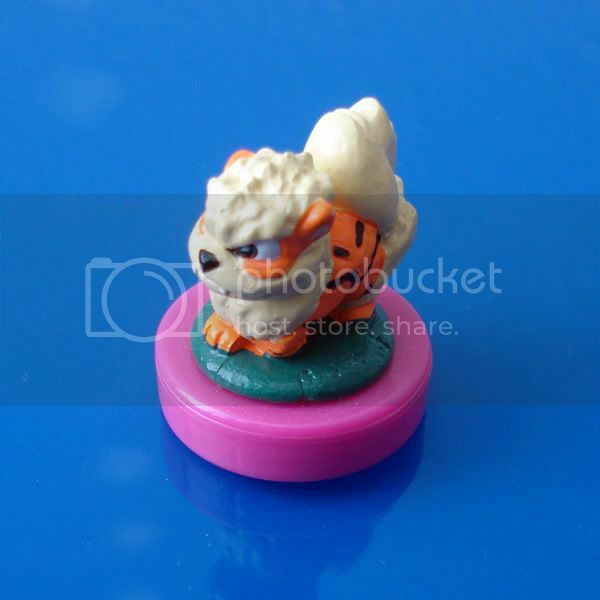 I got it at a prize at Dave & Buster's when I was young, so I don't know if it's from any particular collection or what...does anyone recognize this? The Pokeball in the top left corner says "1161", so I'm thinking that it's part of a series. This is the back of the card. 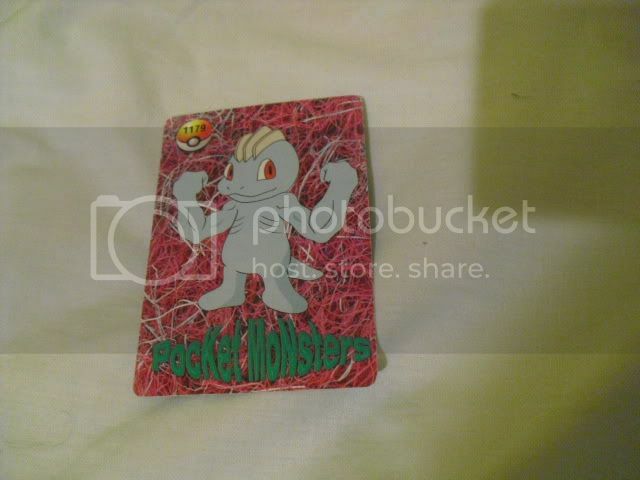 It has Machop on it. 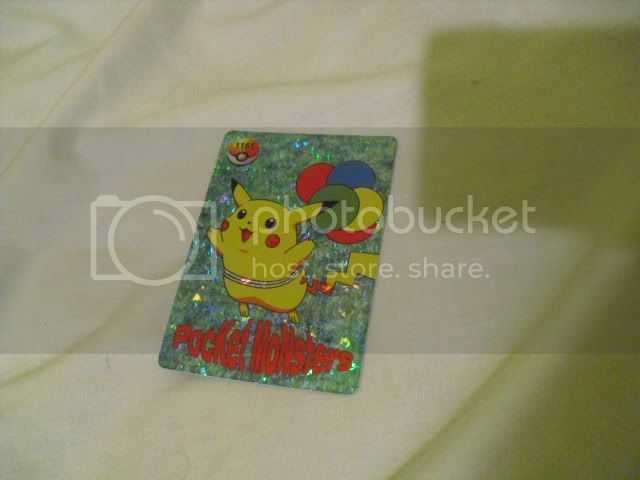 The Pokeball on its card says "1179". I'm thinking that maybe these cards are Japanese since "Pocket Monster" was abbreviated to "Pokemon" in nearly all of the English merch? Does anyone have any info on these? I've had them since I was small, so they're pretty old. 1998-1999, perhaps? 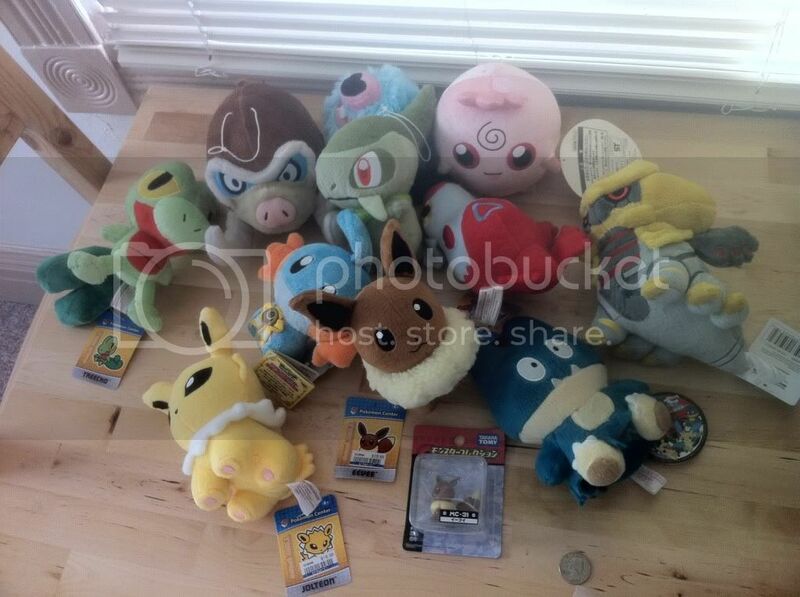 Does anyone know what the following plushes are? Like what they are called, or made by what company? Quick question, does anyone know what these things are and where you can find them. i saw it on google and though they looked cool. 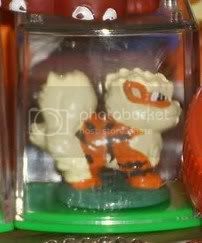 It says this set of Emboar, Haxorus, Golurk, Druddigon, Bisharp, and Beartic are Pokemon pose figures but I've never seen these before. Would they be expensive cause I don't know how much they would cost.